By the time they reach Kindergarten, 40 percent of children have already have tooth decay, and it is one of the most common chronic diseases of children ages 6 to 11. 1. When should I schedule my child’s first dental visit? According to the American Academy of Pediatric Dentistry, your child should see a dentist by the time he or she is a year old, or within 6 months of getting their first tooth. The first dental visit is brief and involves very little treatment. Think of your child’s first visit as an opportunity for the child to have a fun experience and build a relationship with your dentist. 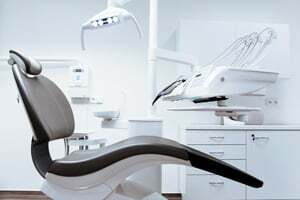 The first visit also gives the dentist a chance to screen for any problems and answer any questions you might have. 2. When can my child use regular toothpaste? One of the most effective ways to fight tooth decay is by using fluoride toothpaste twice a day. Children are ready for regular fluoride toothpaste as soon as they are old enough to spit. Be mindful to teach your child to spit out the toothpaste to avoid accidentally swallowing any fluoride. 3. Should I still help my child brush? Yes, parents should clean their child’s teeth until they are old enough to tie their shoes or write in cursive. Until these fine motor skills are fully developed, your child is not capable of adequately brushing their teeth. 4. What causes baby bottle decay? Parents should not put an infant or toddler down to sleep or for a nap with a bottle of juice, formula, or milk. If you must give your child a bottle to take to bed, make sure it contains only water. The sugary liquids in the bottle cling to your baby's teeth, providing food for bacteria that live in the mouth and triggering serious decay. 5. When should we break the pacifier habit? Pacifiers should be dropped by age 2-2 ½ . As your child’s mouth is still developing, prolonged pacifier use may affect the shape of the mouth and position of the teeth, requiring extensive orthodontic treatment to correct. If you’re searching for a Marietta family dentist, simply call (770) 321-5558 with any questions you may have about caring for your child’s teeth. We would love to welcome you to our practice!